Where the Pedigree ends, the finest breeding begins. At About Time Cane Corso we breed to better our bloodline and further our breeding program. 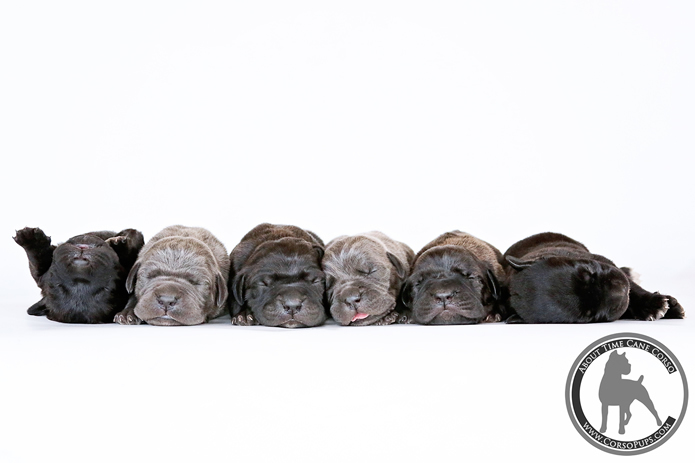 Every litter we breed is carefully planned with the goal of producing outstanding Cane Corso pups of exceptional quality. We know how much hard work goes into creating a beautiful intelligent and healthy Cane Corso puppy, and we want each of the families we chose for their new homes to know and appreciate the dedication that went into creating their new companion. Finding a Good Breeder can be a difficult and confusing process. Let us show you why we are Extraordinary! 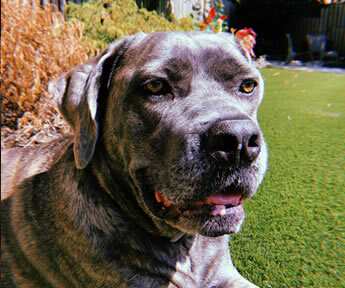 Read more About Us, Our Breeding Philosophy, Our Dogs, and browse our Accomplishments and Client Testimonials to see for yourself why you should choose an About Time Cane Corso. Our clients say more about us than we ever could! Placing the puppies we raise in their new homes is a responsibility we take very seriously. 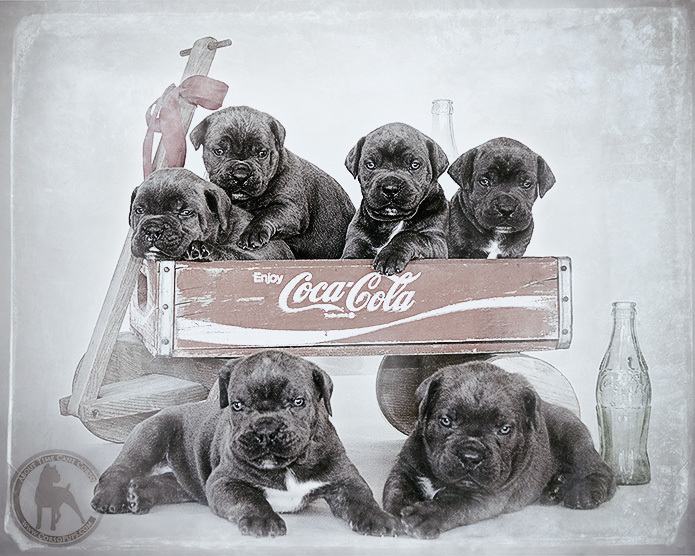 You can take a look at our available Cane Corso puppies for sale below. If you are interested in a reservation on one of our dogs or puppies, please review our Policies page and our Purchase Process, and take a minute to fill out our online Application, or give us a call. We will respond to you promptly. Advance Reservation details to guarantee yourself a pick puppy from an upcoming litter are provided here: Sales Policies. Now accepting Advance Reservations towards pups from our coming litters! Placing the puppies we raise in their new homes is a responsibility we take very seriously. If you are interested in a reservation on one of our dogs or puppies, please review our Policies page and our Purchase Process, and take a minute to fill out our online Application, and give us a call. We will respond to you promptly. Limited Reservations will be available from this litter, puppies will be ready to go home May 6th, 2019. Transport/delivery is available across the US. Inquire for details on our Started Puppy Training Package available for a limited number of pups! Your pup will go home to you with 6-8 weeks of professional training and be fully crate trained, housetrained, leash trained, know come, sit, down, stay, heel, and additional training can also incorporate off leash training, or any additional specific commands you request. OOCEAN LITTER IS FULLY SOLD OUT! Introducing our gorgeous "Ocean Litter" of blue / brindle puppies, born January 3rd 2019. This litter is out of Secret, an AKC Champion titled daughter of Multi Champion Anarchy, and grand-daughter of our import Multi Champion Quantum. These puppies are bred from our Chaos line and tracing back to our original foundation dogs and imports (Chingalana, & Amon). The litter sire, Oberyn, is out of an Italian import Miluna, and his sire Italo is out of a daughter of Fantagiro (Ch Rothorm JY Dream Glam x Multi Champion Malizia), bred to import VDL Bruce, and also includes one of our foundation imports Amon. 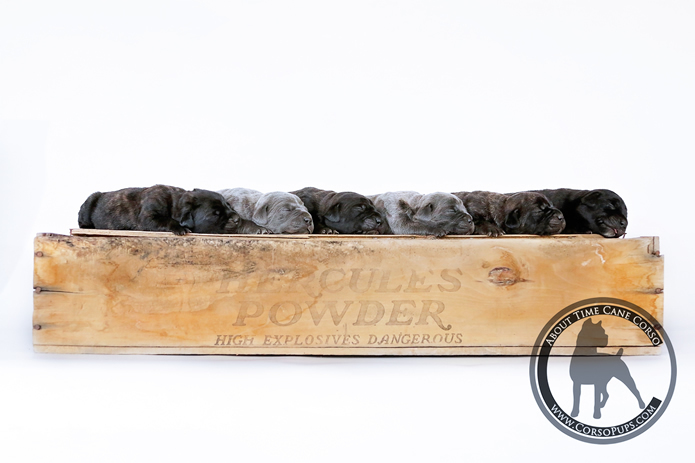 This litter combines some of the best of our original foundation lines with numerous Champion and Multi Champion dogs. With the pedigree behind these puppies we expect them to be amazing. Several puppies from Secret's previous litter are just now hitting the show rings this spring and are looking amazing. Limited Reservations will be available from this litter, puppies will be ready to go home February 28th, 2019. Transport/delivery is available across the US. 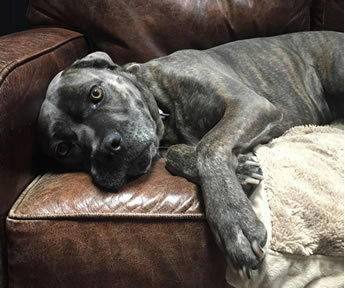 Ellie is a female Cane Corso, 5 years old, about 90 lbs, with a beautiful blue brindle coat and amazing golden/hazel eyes. A real sweetheart, Ellie is a very loyal obedient companion - she really is all about being by your side. She loves to stretch out next to you on the couch, hang in the yard, or be with you in whatever you do and wherever you are. She does love to be snuggled like a lapdog sometimes, but she will quickly go to her bed when told. She is completely crate trained, housetrained, spayed, completely up to date on vaccinations/boosters including rabies, and heartworm preventative. Ellie is an amazing family dog, but is intolerant of other dominant alpha female dogs would be best in a home without other pets or at most a smaller dog. Ellie is currently located in Maryland on the East Coast. She is available to an approved home looking for a wonderful companion, and is available to join her new family anytime! Transportation is available across the US. Placing Ellie in her new home is a responsibility we take very seriously. If you are interested in a reservation on one of our dogs or puppies, please take a minute to fill out our online Application, and give us a call. We will respond to you promptly. 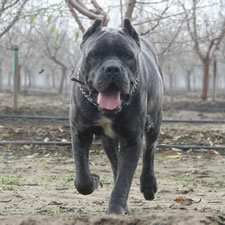 Please see our Available Rescue page for current Cane Corso rescue listings. All About Time Cane Corso dogs and puppies are sold with a full written Health and Temperament Guarantee, and show puppies are sold with a type guarantee as well. Companion puppies from About Time Cane Corso are NOT the undesirable pups from a litter, they are simply pups who will not be used for breeding or showing. They are quite often show quality, placed in loving companion homes, and are sold with the same Health and Temperament Guarantee. 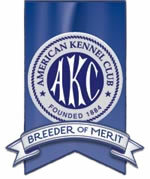 Registration is provided through the AKC within the US, and FCI recognized affiliates worldwide. Registration through the ICCF and/or UKC is also available using AKC papers. As dedicated Cane Corso breeders, we take the job of placing our Corso puppies in loving responsible homes quite seriously. We stand behind every About Time Cane Corso with a full written Health and Temperament Guarantee, we provide Lifetime Support, and guarantee a Home For Life for every puppy we place. In 12 years of breeding we have never had a single "About Time" puppy end up homeless and unwanted in rescue or a shelter. We sell our companion/pet puppies to approved homes with AKC limited registration papers and a sterilization agreement. Show and Working prospect Cane Corso puppies are available to approved homes who are serious about buying an exceptional dog. We pride ourselves in placing the right Cane Corso puppy in the right home for a lifetime partnership, thoroughly screen all prospective buyers, and we do require references. 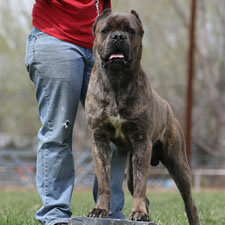 We have been involved in breeding purebred dogs for more than 20 years, the last 12 in Cane Corsos. Our goal is to breed not only for an exceptional Cane Corso, but a healthy dog with a family-friendly personality, consistent in character, stable in temperament, and true to type with the original breed standard and country of origin.